As far as we’re concerned, lobster anything is cause for celebration. So break out your best plates and light some candles, because these ravioli are filled with it. Continuing the crustacean theme, we’re also folding in succulent shrimp. 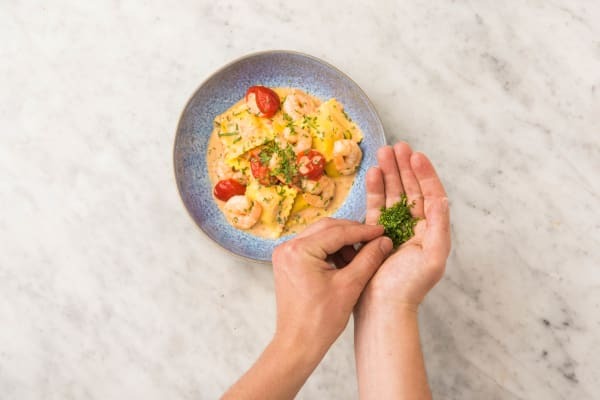 And because every pasta deserves a good sauce, we’re tossing the whole dish with herbs, sour cream, and bites of juicy tomato. Wash and dry all produce. Bring a large pot of salted water to a gentle boil. Halve tomatoes lengthwise. Mince or grate garlic. Pick tarragon leaves from stems, then chop until you have 1 TBSP. Melt 1 TBSP butter in a large pan over medium heat. Add garlic and cook until fragrant, 1-2 minutes. 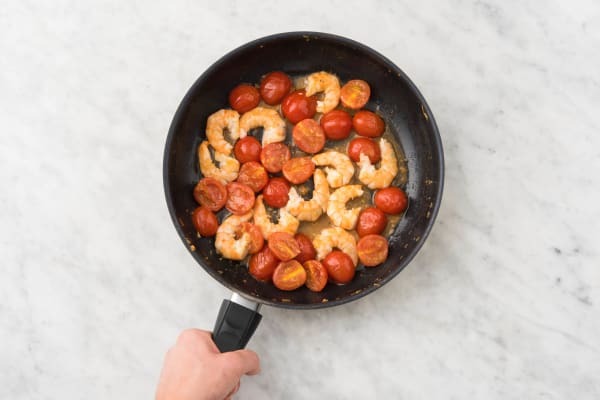 Add tomatoes and cook until slightly softened, 2-3 minutes. Season with salt and pepper. 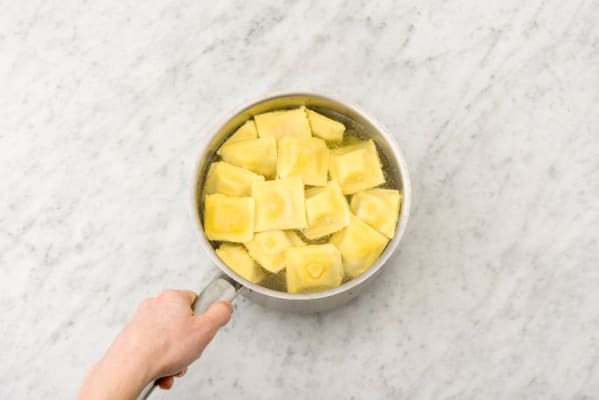 Once water is boiling gently, add ravioli to pot. Cook until tender, 2-3 minutes. Carefully scoop out and reserve a few big splashes of ravioli cooking water, then drain. 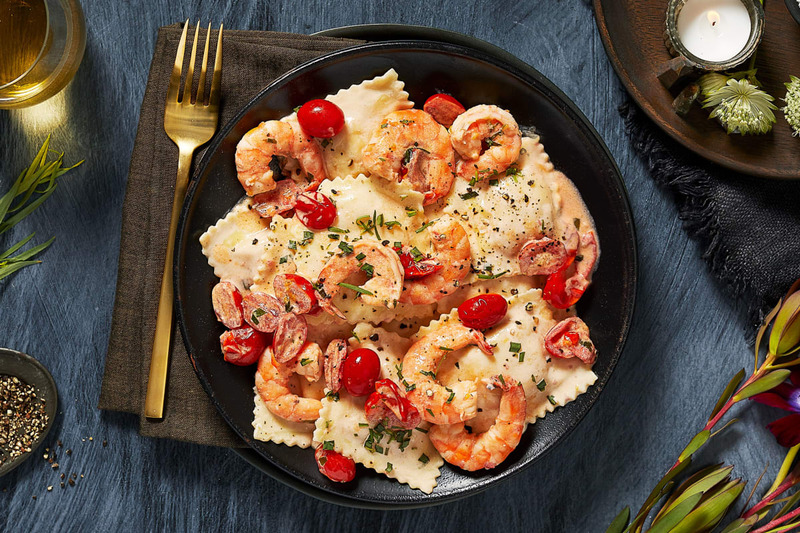 While ravioli cook, rinse shrimp under cool running water, then pat dry with a paper towel. 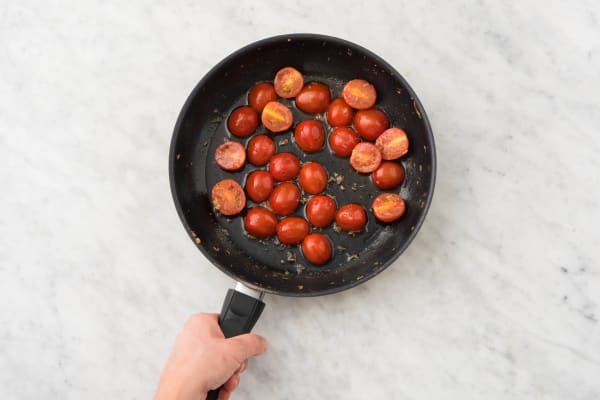 Add to pan with tomatoes. Cook until just barely pink, 2-3 minutes. Season with salt and pepper. 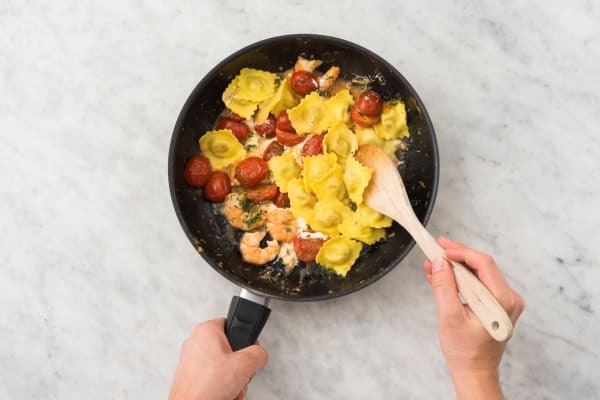 Add ravioli to pan. Gently stir in sour cream, 1 TBSP butter, and half the chopped tarragon (use less to taste, if desired) to combine. Season with salt and pepper. TIP: Add a splash or two of ravioli cooking water if sauce seems too thick. Divide ravioli mixture between bowls. 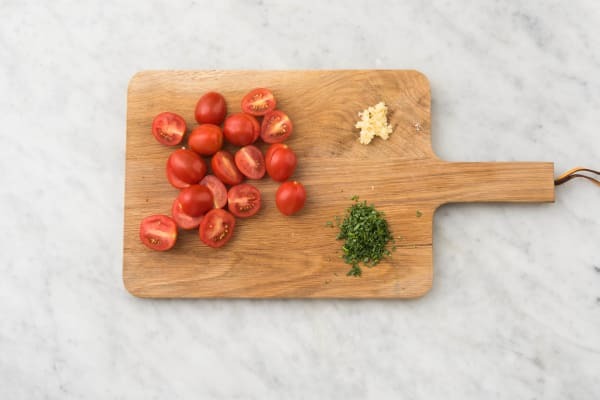 Garnish with remaining chopped tarragon (to taste) and serve.